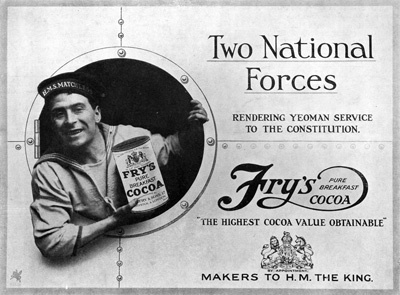 A glorious advance by a cheerful army – so the accompanying illustration suggests – depends upon the consumption of Fry’s Cocoa. 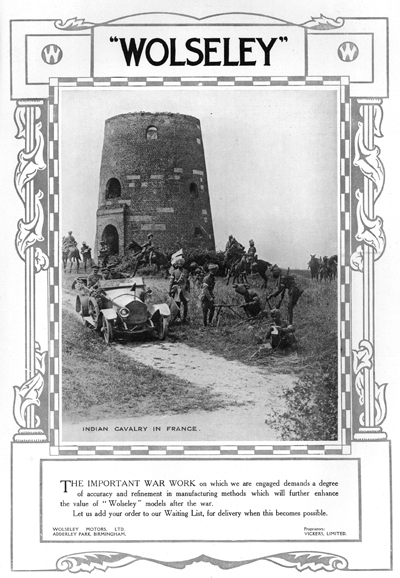 Wolseley took out full-page advertisements throughout the war, showing its cars in action or in some exotic foreign location. This pictureof Indian cavalry in France was published in 1917. 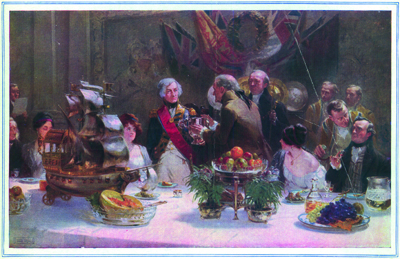 In 1914, Wright’s Coal Tar Soap offered readers colour copies of this patriotic painting by Fred Roe, ‘The Toast is Britain’, in return for 24 soap wrappers. Old wars were remembered to patriotic advantage. Hot drinks at the front: Oxo in 1918. 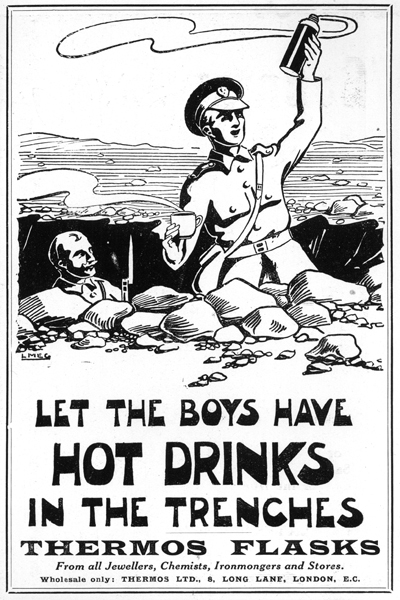 Hot drinks at the front: Thermos flasks in 1915. 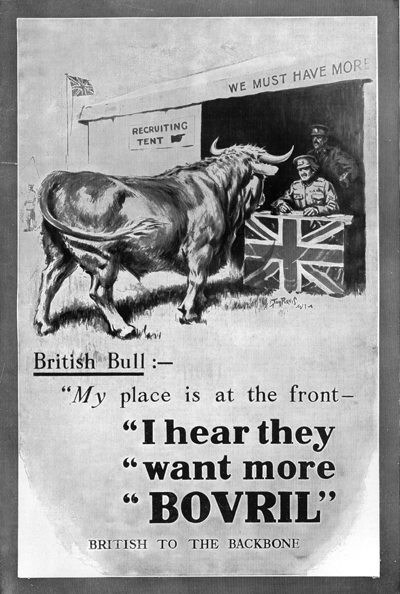 Hot drinks at the front: Bovril in 1915. 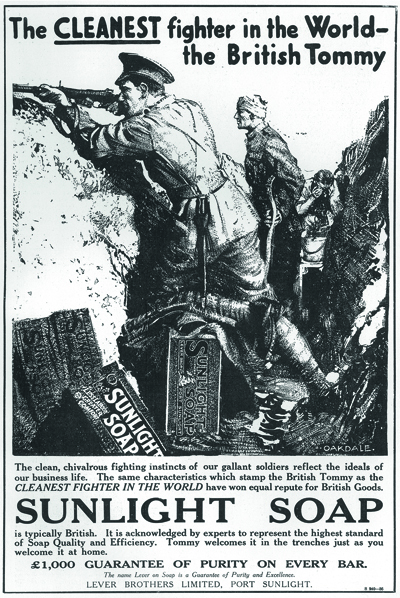 The war’s impact can also be sensed in the housing market. 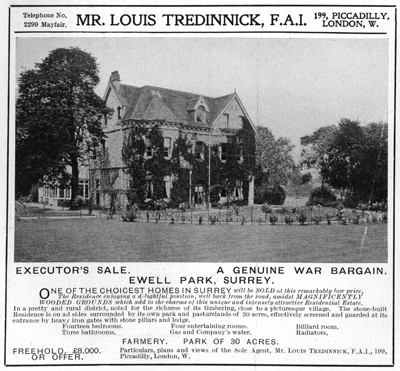 Whether the owner of this war bargain was a victim of the fighting or whether the conflict simply reduced the value of the property is not clear. One of the more improbable products of the Country Life press was this French phrasebook, which was hurried out to be advertised in the magazine from November 1914. 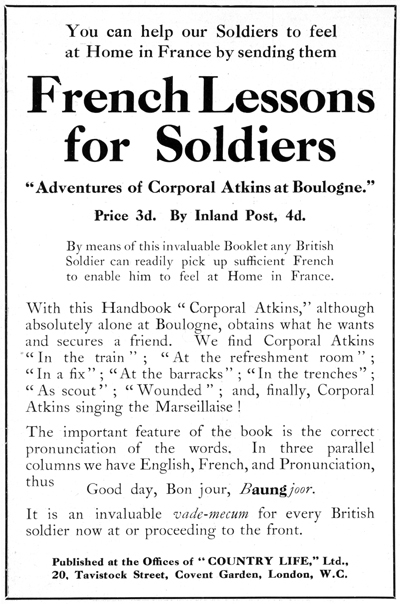 It would be fascinating to know how popular the adventures of Corporal Atkins were.